Hoof Explorer is a new interactive 3-D anatomy education tool that is in four languages and has almost infinite capacity for displaying the anatomy of the distal limb. And it's free! 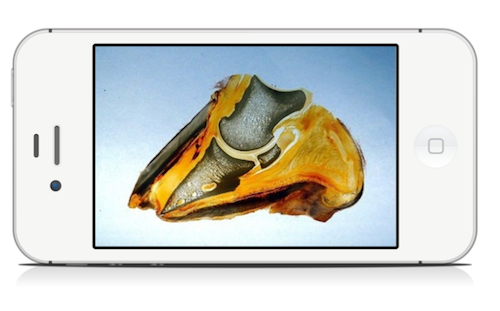 It's official: 2013 is the year of 3-D hoof anatomy on the web. In late October, the third of three new websites from three countries went live, and now all you have to do is bookmark these resources and learn how to use them. Coolmore Stud issued the following update on champion Irish racehorse St Nicholas Abbey. The 2012 Breeders Cup Turf winner suffered a pastern fracture during training on July 23 and later developed what is probably a form of support limb laminitis in his "good" foot. The colt has been hospitalized at Fethard Equine Hospital in Tipperary, Ireland since the initial fracture. Do you remember the flashy purple horseshoes from the Australian laboratory that were destined to crush racetrack records? 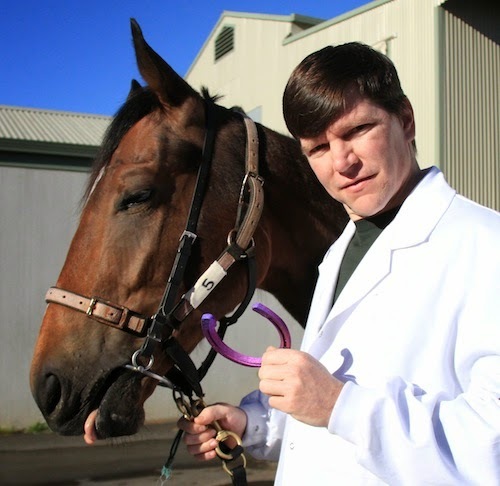 The story--along with examples of the way that 3-D printing is used in the hoofcare world--was popular on the Hoof Blog last month. 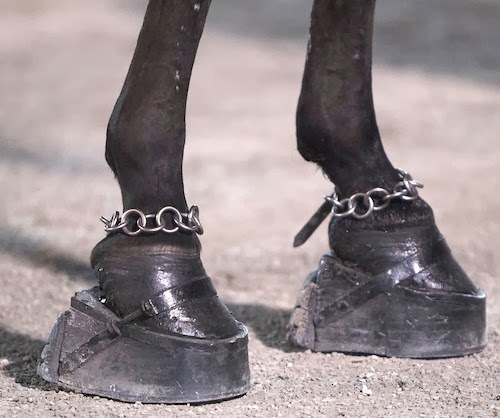 The Hoof Blog contacted the horse's trainer to see how it was doing with the special new shoes and he kindly responded. Apparently the rest of the media in the world re-published the story without checking on the result. Please watch this taped archive of today's Congressional hearing on the PAST Act to amend the Horse Protection Act. You should read yesterday's Hoof Blog article on this hearing, and the commentary below. Today the Farriers Registration Council in Great Britain announced that that country's governmental Department of Environment, Food and Rural Affairs (Defra), jointly with parallel teams in the Scottish and Welsh Governments, have opened a period of consultation for regulatory reform of the Farriers (Registration) Act (of) 1975. 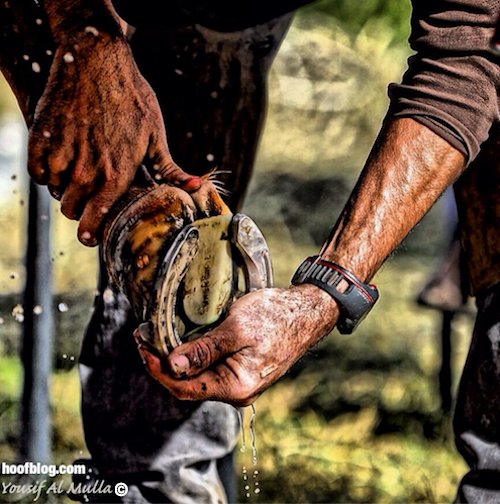 The United States Congress will be talking horseshoes tomorrow at 10 a.m. Chances are, there won't be a farrier in the House (of Representatives) but this is a hearing whose time has come.